Photo: shows corner of West Cem. 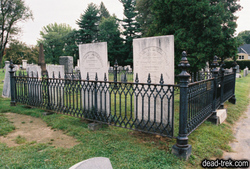 where Dickinson is buried. The voice in the poem is that of a child. Or was myself - too small?